In the wake of the recent college-admissions scandal in the US (if you haven’t followed it: a bunch of rich people bought their children access to elite universities in non-standard ways), a comment re-appeared frequently in my Twitter time line: what was demonstrated here, people wrote, was how absurd the idea of meritocracy is in the US. In light of colleges preferring the offspring of wealthy parents even without them cheating it’s not clear to me how the scandal changed anything. Or maybe those cheating parents’ sin was not to have cheated but rather to have inadvertently exposed something that was widely known but that people preferred to think didn’t exist. I will admit that I truly believe in the idea of merit, and possibly the biggest disappointment in my adult life has so far been the realization that merit tends to usually be a lousy indicator for recognition or success. A meritocracy would be nice to have, given it would be closely tied to ideas of fairness. But life isn’t fair, I have been told countless times. Now, I could just get over it — but then what kind of critic gets over things? Isn’t good criticism tied to not getting over things? It’s a coincidence that while the college-admissions scandal broke, Japanese photographer Issei Suda died. To say that he wasn’t widely known in the West is pretty obvious. In fact, I only heard about his death through a single post on Instagram, and I had to ask a colleague in Japan to confirm the news. Another colleague whom I had emailed then sent me the link to a very touching obituary that you might want to read (it’s in English). 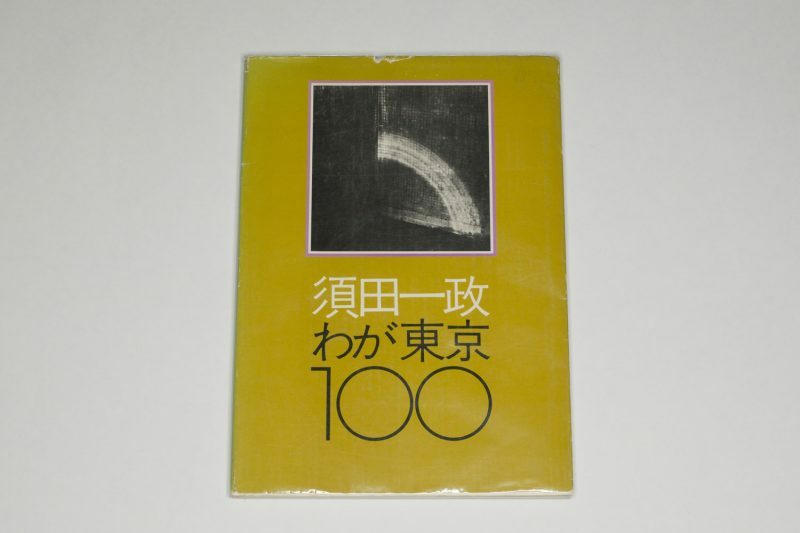 Issei Suda’s 1979 Waga Tōkyō hyaku (わが東京100) is one of the treasures in my personal collection of photobooks. It’s not a widely known book (outside of Japan). I hadn’t heard of it until one of my colleagues sent it to me as a gift a few years ago. It’s the kind of book I get lost in every time I look at it. There maybe are ten books in my collection that are able to do that. I’ve wondered about how or why this photographer was not more widely known in the West ever since I saw the book. There probably is no single reason. During a recent visit to Japan (my first), I realized how vast parts of the photography made there are basically completely unknown in the West. The same thing is true for Poland, another country I managed to learn more about in a series of recent visits. This brings me back to the college-admissions scandal. Obviously, artistic merit is a lot harder to determine than academic merit. You can figure out fairly easily whether someone is good at math, history, or whatever else, but how do you evaluate whether someone is a good photographer? Still, I can’t escape the feeling that when we collectively tell ourselves that artistic success (meaning here gallery or museum exhibitions, book sales, or stuff like that) is tied to artistic merit we’re deceiving ourselves just as much as when we pretend that getting into a elite US university is tied to merit (and not to connections and money). Obviously, you could make the point that not everybody can be widely known, and sadly, this also applies to very good artists. Sure, valid point. Maybe. But there is an increasing awareness that the history of photography has been omitting a large variety of voices, many of them being either female or from non-Western countries (or both). These voices need to be added so that the medium’s history (as written) not only more properly reflects what actually existed, but also so that when we read the history we are exposed to a wider range of material, which, in turn, helps increase our understanding of the world. Artistic merit can — I’d argue: should — be one of the guiding principles of how the history of photography is revised. This will entail adding voices such as Issei Suda’s (or Zofia Rydet’s or Marianne Wex’s or …) as much as it means reducing the weight placed on others (in the Japanese context, for a variety of reasons Nobuyoshi Araki is overdue for a serious re-assessment — if you’re interested in this, reading Hiroko Hagiwara’s Representation, Distribution, and Formulation of Sexuality in the Photography of Araki Nobuyoshi provides some good material from which to start), if not outright removing them. This endeavour is made more difficult not just through biases already established in the current history of photography but also, and this isn’t necessarily a completely independent point, through how the world of photography now essentially prefers to reward those who are already well known, whether through more exhibitions or more articles written about them. The argument I’ve encountered here is that people will not read an article about someone they don’t know, but they’ll happily read something about [add famous photographer’s name here] (this is typically measured through how many people click on links to articles and similar metrics). Again, this is a valid point — especially if you subscribe to the neoliberal thinking that the existence of an art magazine or website should be entirely determined by economics. Obviously, such an approach very seriously hampers anyone’s efforts to expand the canon beyond the usual suspects (who more often than not are male, white, and Western). I don’t know the magical solution for all of this. What I do know is that we owe it to ourselves to expand our understanding of photography, both how it was practiced in the past as it is now. Photography’s history just as much as what is being widely viewed now is only partially tied to artistic merit. There still are too many back or side doors through which some artists can enter while other more deserving ones remain excluded.